By Betsy on April 30, 2017 in crafters + makers., craftivism., why handmade. 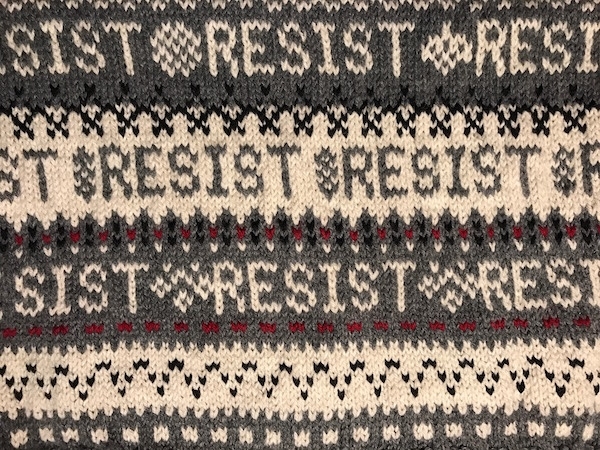 Today’s post is another by Amber Wingfield, as she posted some wonderful craftivism photos from the Mighty 8th Museum in Pooler, Georgia on Twitter recently and I asked to share what she had learned! Photos by Amber and her husband Isaac. She wrote about the WWII POW embroidery of Thomas J. McGory the other week! These shoes, no bigger than 2 inches or so, use the colors of Belgium—red, black, and gold—as symbols of defiance. In 1936, Charlotte Ambach was a 14-year-old German citizen living and going to school in Brussels. One of her school assignments was to write a paper about her beliefs and values. Though she had voluntarily joined the Bund Deutscher Mädel, or League of German Girls—part of the Hitler Youth organization—she had been unable to reconcile what she was being taught with what she believed, so her paper included her refusal to be a Volksgenossin, or Volk comrade. She would instead be “a human being,” she wrote. Soon Ambach became involved in formal resistance activities. These activities included supplying the resistance with sensitive infrastructure information, which she had access to thanks to her position as a stenographer for a civil and military engineering organization. Then she started helping smuggle out Dutch evacuees who had been members of the resistance but whose identities had been discovered, putting them in danger of capture or death. She also helped evacuate Allied airmen who had survived their planes crashing during reconnaissance missions or battles and who had managed to evade initial capture by the Nazis. Eventually, in early 1944, Ambach was arrested, along with her mother, Elise, and the two were sentenced to death for their actions. After a short stay at the St. Gilles prison in Brussels, they were sent to Waldheim prison in the eastern part of Germany. There she and her mother were confined to their cell almost constantly, save for a few excursions to other areas in the prison. They, along with their other cellmates, were given work tasks to fill their days: processing corn husks, feathers, and twine. 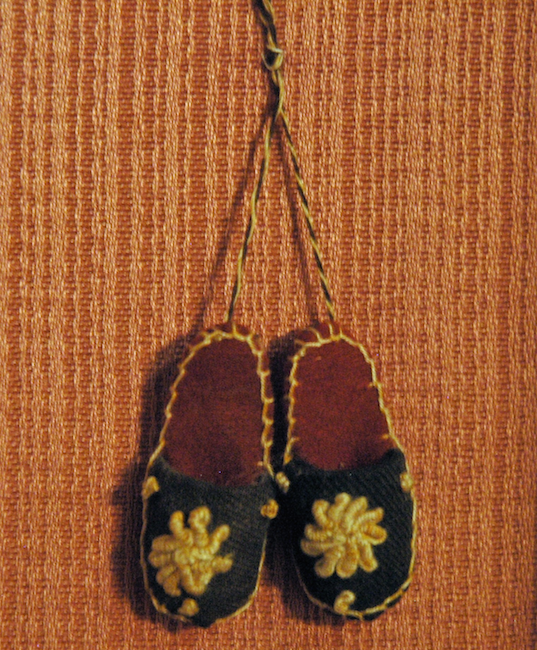 When they had free time, though, they spent it making contraband creations like small dolls, embroidery, and even rosaries. They had to source all of their supplies on the sly. “Everything had to be acquired by devious means,” Ambach later recalled. They snuck some of the twine they’d processed and used it to make their own shoes to replace their prison-issued footwear that caused perpetual sores. They kept some of the corn husks they’d pulled from the cobs they’d processed and turned them into long, thin braids for making mats. Another prisoner turned her stolen cobs and husks into dolls that wore “clothes” from different historical eras. Because the women were responsible for repairing their own uniforms, they were occasionally given needles and thread for this task. When the guards returned to pick up the remaining supplies, the prisoners would pretend that they had used more yarn and thread than they’d actually needed—the excess had been hidden away for use later. On the rare occasions that they left their cells, they’d scan the floors and grounds for broken needles and bits of fabric or thread. “The pieces of thread we found were sometimes barely an inch long,” Ambach told the Mighty 8th Air Force Museum in Pooler, Georgia. Then, when they were allowed to repair their uniforms, they’d keep the good needles and turn in the broken ones as if they’d broken while being used. However, the guards at Waldheim would search the cells randomly, and when they’d find the women’s handiwork, they’d confiscate the items. Still, the women kept crafting, and when the prison was liberated by the Allies on May 6, 1945, Ambach and her mother had a small collection of crafts that had not yet been taken by the guards. They are now on display at the Mighty 8th Air Force Museum. 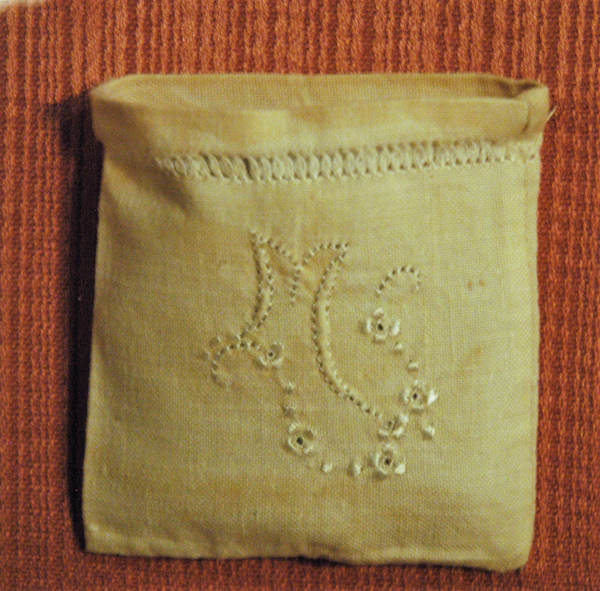 Ambach’s mother used this pouch to hold a tiny amount of soap powder on the rare occasions they were allowed to shower. The M stands for Muschka, which was her mother’s nickname. The pouch was made by prisoners in a cell who had been taught embroidery by one of their cellmates, a Belgian woman who had owned and operated a dress shop in Brussels. This piece was embroidered by one of Ambach’s cellmates. The words are lyrics to two French songs the women sang to keep their spirits up. Note the French and Belgian flags at the bottom of the fabric: These national symbols were forbidden by the Nazis. 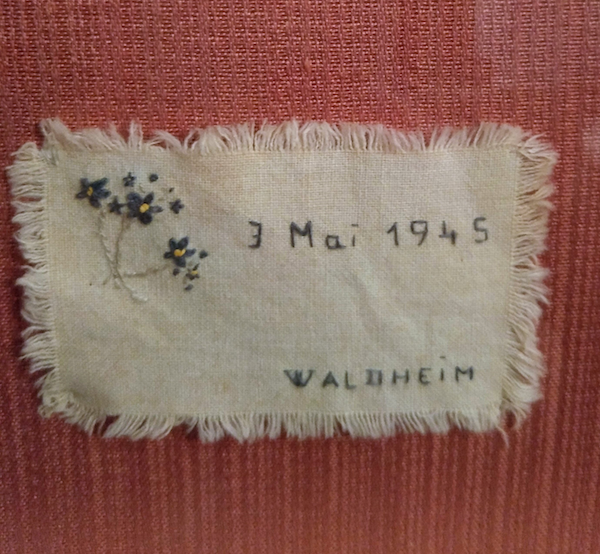 Ambach embroidered this piece for her mother’s birthday, which was May 3. The prison was liberated on May 6. 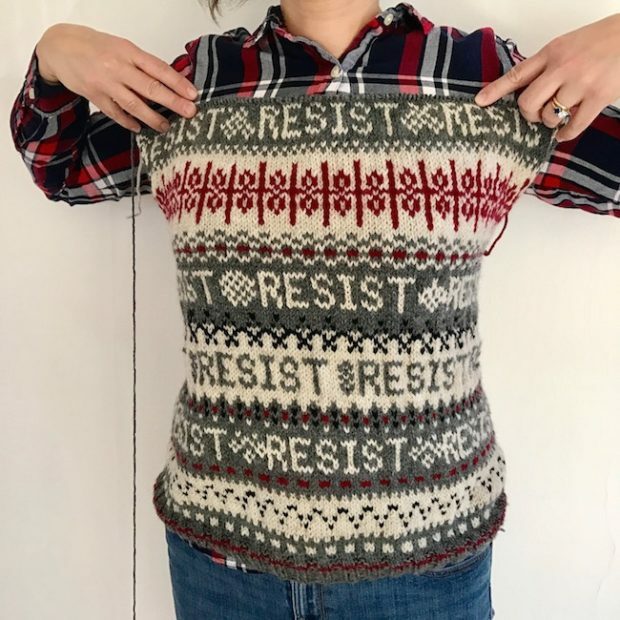 By Betsy on April 14, 2017 in crafters + makers., craftivism., why handmade. Today’s post is by Amber Wingfield, as she posted some wonderful craftivism photos from the Mighty 8th Museum in Pooler, Georgia on Twitter and I asked her to share some of what she learned on her trip! Thanks, Amber! Before World War II, Thomas J. McGory was Chief of the Dryden, New York fire department. After the war, he was an athletic trainer and baseball coach at Cornell University. And during the war, he was a top turret gunner and flight engineer for B-24s, stationed in England—until his plane was shot down in Germany and he was captured by the Nazis. Then Thomas J. McGory was a prisoner of war at Stalag Luft IV in modern-day Poland. For nine months, he and around 8,000 other men struggled to survive the harsh weather, meager food, and poor sanitation. This alone might have been enough to occupy his time, but McGory was concerned about his mental health as well. “I really needed a project to keep me from going stir crazy,” he said in an interview with the Mighty Eighth Air Force Museum in Pooler, Georgia. So he turned to embroidery. A handkerchief and a needle in a package he received from the International Red Cross were good starting materials, but he needed thread and a subject to embroider. B-17s and B-24s were natural choices for the handkerchief’s corners, so he sacrificed some black thread from his shoelaces for them. 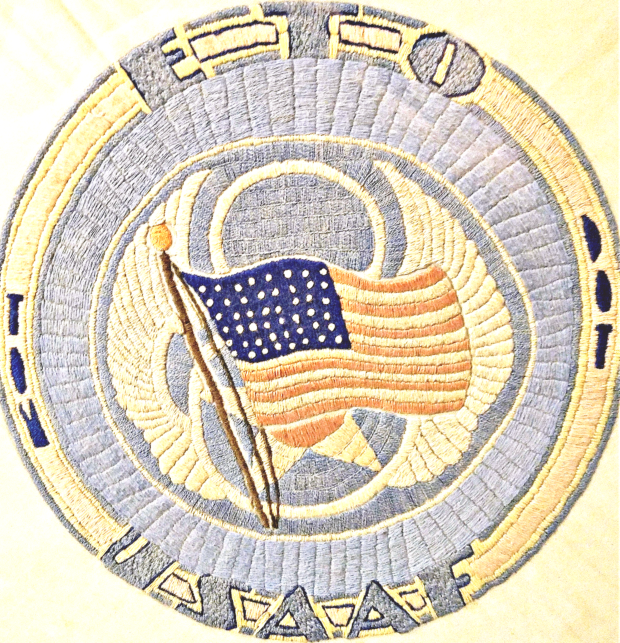 In the handkerchief’s center, he decided to recreate his Eighth Air Force patch, so he needed blue thread. Those strands came from the tail of his shirt. Still, his piece needed something else. It needed a flag. An American flag. McGory used cigarettes (a common prisoner currency) to “buy” red and blue threads from other prisoners, who sourced the threads from their own clothing and towels given to them by the Red Cross. The decision to embroider his country’s flag was not a flippant one. “I knew creating that kind of U.S. symbol was an offense that they could shoot me for on the spot,” McGory said. But he embroidered it anyway. On February 6, 1945, the Germans forced the Stalag Luft IV prisoners to begin a march of 600 miles to another prison in Germany. The march, which the prisoners called the Shoe Leather Express, lasted 86 days. McGory’s handkerchief was with him every step of the way: He’d tied it around his waist before leaving the prison. 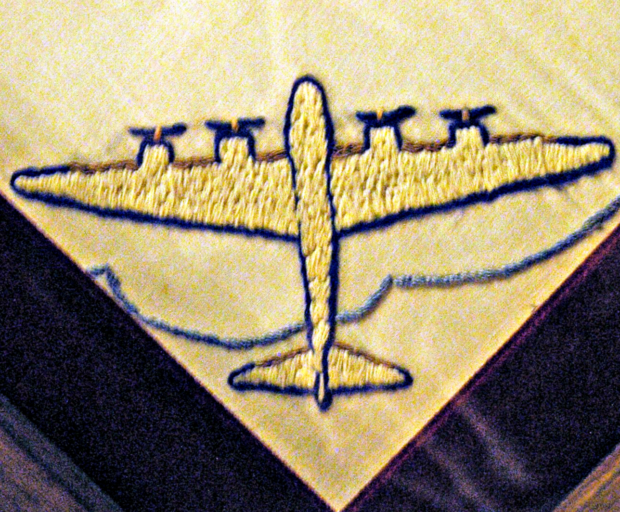 Today, McGory’s handkerchief is on display at the Mighty Eighth Air Force Museum. 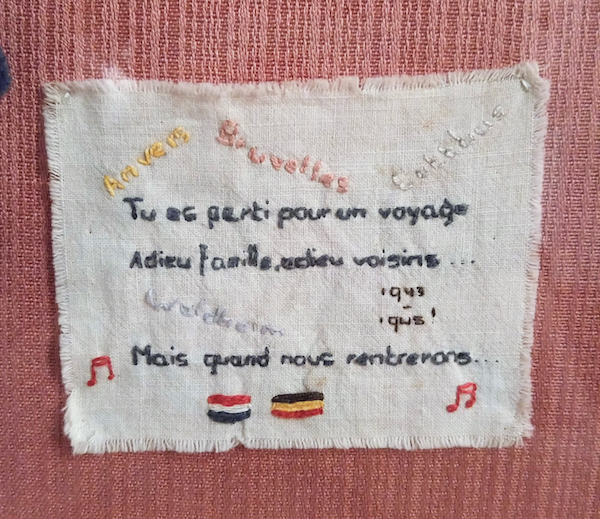 It’s a remarkable example of craftivism among the museum’s exhibits of war memorabilia. Because we craftivists focus so much on the intended effects of our work on other people, we might forget to evaluate the impact our pieces have on us, their creators. McGory’s embroidered handkerchief served as a silent protest against his captors, but it also served as a rallying point for his patriotism, his identity, and his sanity. For more POW embroidery, check out the story of Jim Simpson! Interview with Marcia Galvin @craftivistshetland! 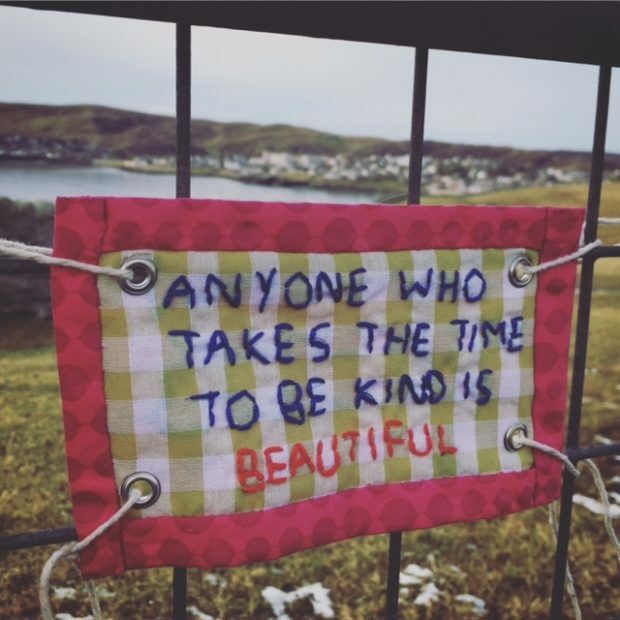 This interview is with Marcia Galvin, who is on Instagram as @craftivistshetland! I love the signs she’s been making and her perspective, I’m sure you will as well! 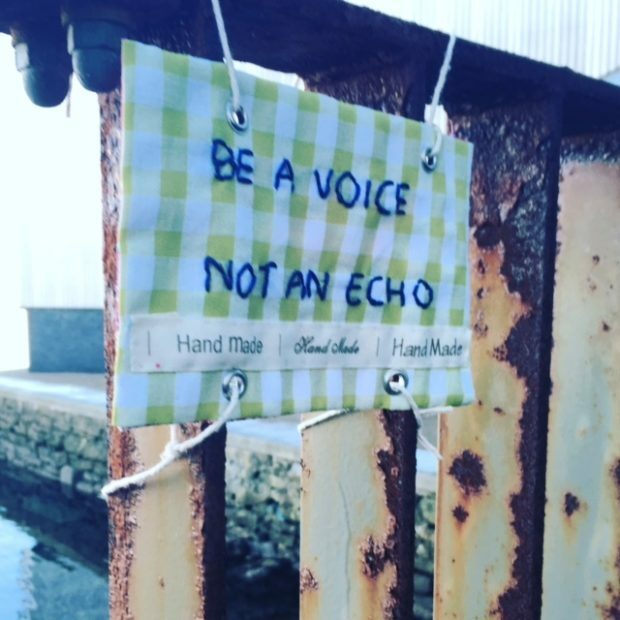 Craft + Activism = craftivism, I am using craftivism as a gentle tool for protest, for expression and interaction with the environment. 2. How did it get you thinking about making craftivist signs? Why did you decide to do it? 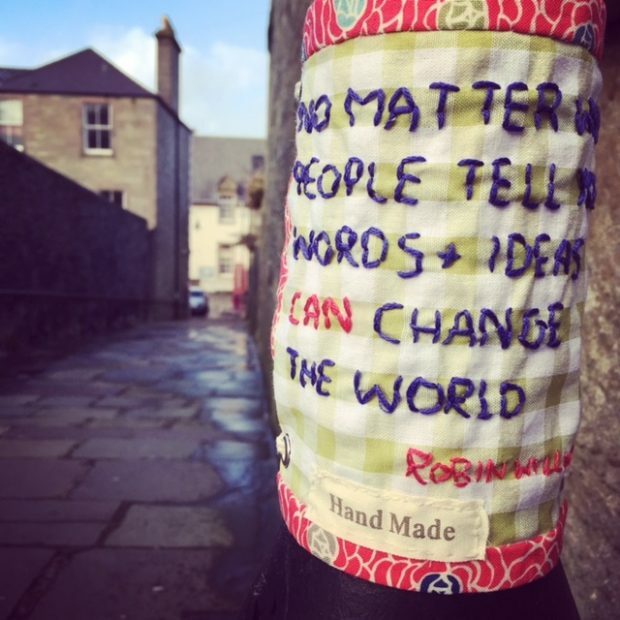 I was lucky enough to meet Sarah Corbett (of the Craftivist Collective) a few years ago when she came to my college as a guest lecturer (I’m a BA (Hons) Contemporary Textile student) and I instantly felt a passion and connection to craftivism, but as usual life got in the way, but it’s always been in the back of my mind, then Trump happened, and I felt so helpless, but just days before the Women’s March in Washington, somebody arranged a sister march in Lerwick, Shetland, and I went along to show solidarity. The local press did an article about it and it was published online on their Facebook page and I just couldn’t believe the backlash we got from the local community. The majority of the comments mocked us, said we were wasting our time, we were fools, we should do something more important etc, and there were hundreds of comments. I was genuinely shocked that an act of solidarity received such a negative reaction and I admit that I, along with other marchers felt like being quiet for a while. At the same time as this was happening, I had started to research into the links between making/craft (sewing, knitting, crochet) etc and health and wellbeing, as I have been using hand knitting for personal therapy for a number of years. I turn to sewing, knitting, crochet as a way of reflection/time out/self-soothe and to calm my mind, and somehow things collided! 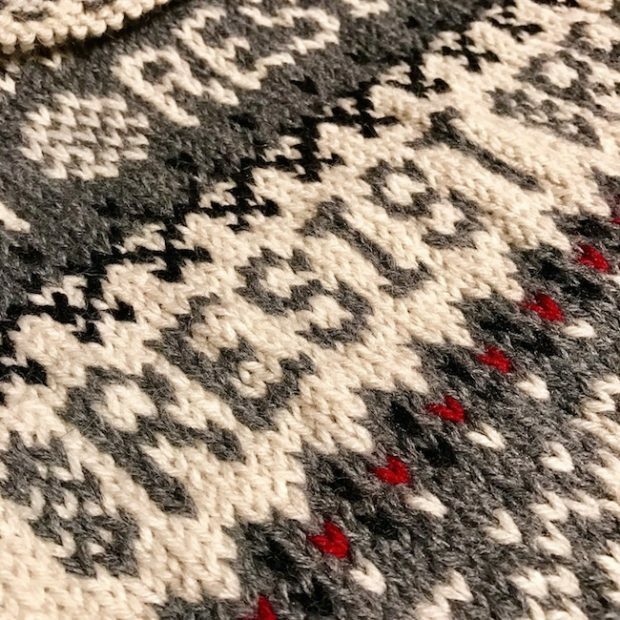 I was thinking about all the wonderful protest signs I had seen on the news, and I was sitting at night stitching and processing my thoughts. I’d mentioned craftivism to somebody and decided to ‘stitch a message’ so I could visually show them what I meant, and before I knew it I had stitched about 3 messages! It felt right, I was still feeling wounded by the hurtful online comments and this for me, was a way of speaking but remaining anonymous. 3. How did making the signs make you feel? Why and how did you pick the quotes? I love making the signs, I have a huge box of scraps and finally they had a purpose, and felt I had a voice again, and I felt strong, when stitching words I am saying them in my mind, and thinking about their meaning. I decided not to put political messages, I didn’t want to offend people, I wanted to engage them, and I wanted the messages to be simple so that everyone, including children could understand the meanings. After I’ve made a sign, I get my daughters (aged 14 and 16) to give me feedback, I ask them what their interpretation of the quote/message is, this has been really helpful. The quotes come from everywhere, the internet, the radio, books, and I have lots of quotes from music that I hope to use too, I’m a big fan of Bob Dylan! 4. How did you decide where to put them? What was it like placing the first one? This is probably the toughest challenge I’ve had, the first few times I put them in places where people tend to walk their dogs or on scenic paths, but it’s something I am still constantly thinking about, I placed one sign close the library as I thought about the connection to words, reading and enjoyment. Placing the first one was so exciting, it was such a glorious sunny day, and I took my daughter with me to act as my ‘lookout’, it was lovely to share that moment with someone else. 5. What has the reaction been? Internally and/or externally! 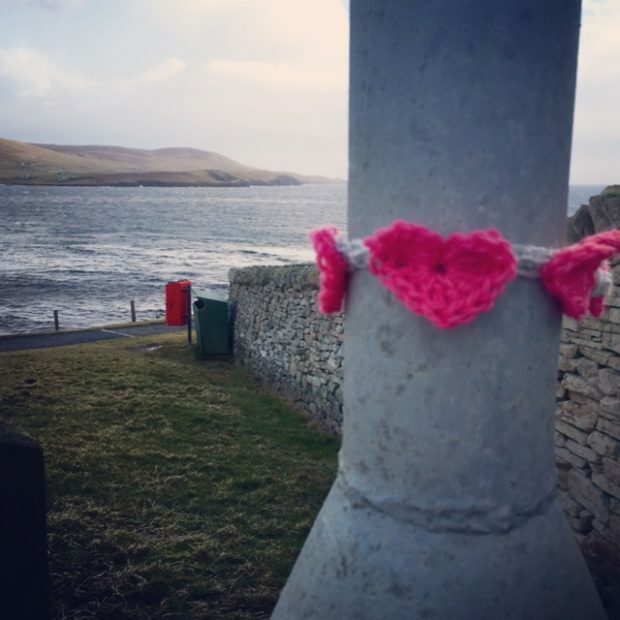 I decided to keep quiet about this, but I did set up and Instagram account @craftivistshetland so I could share photos. 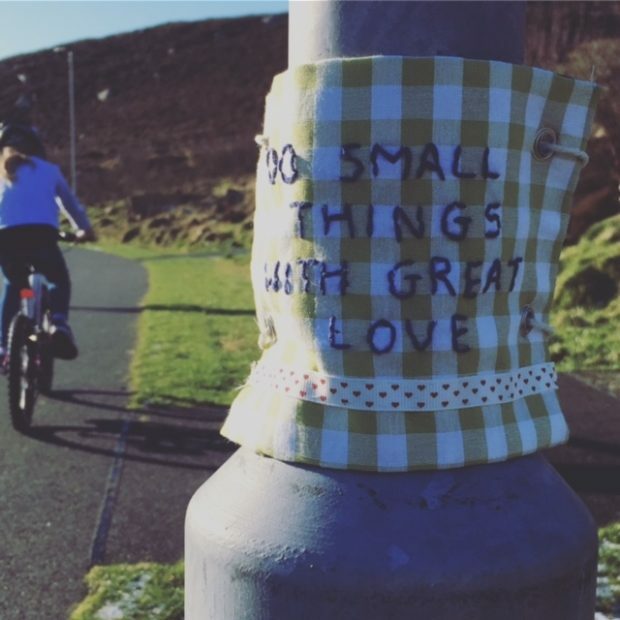 After a few weeks I started noticing photos on Social Media, Shetland is a small island community, I’ve seen my own friends on Facebook share photos of my signs and ask who is behind this? And how many more are out there? The comments have all been extremely positive and this has been so encouraging, I know I can’t stay anonymous forever (that’s island life!) but it has allowed me to build up a bit of confidence. My hope for the future is that it becomes more a community collaboration, I would love to get together with other likeminded people to craft together, and chat about what is important to us as individuals and as islanders in our community. I love that this is a work in progress and happy to go with what feels right. By Betsy on March 1, 2017 in crafters + makers., craftivism., friends + loved ones., misc. I met the lovely Kirsten Moore in late 2014 when I was in Portland on a book tour with Leanne Prain and Kim Werker. She posted a link to this post, which was originally on her blog, and after I read it, it stuck with me. 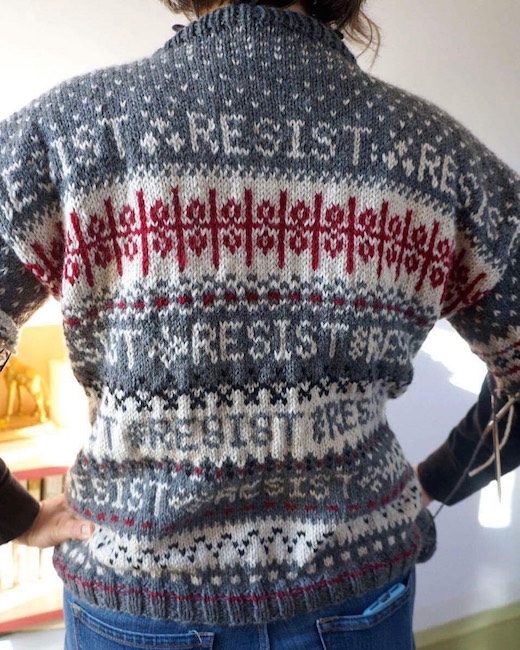 Therefore, I asked Kirsten if I could share this here as an example of craftivism and she agreed. 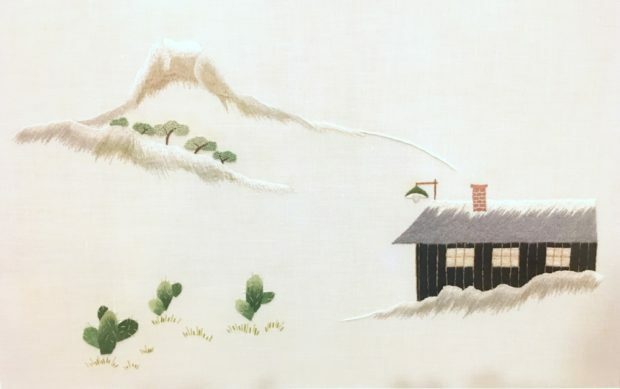 In light of everything that is happening here in the United States, I felt compelled to track down the artwork of my Bachan (my maternal great-grandmother) Hatsune Kawashima. She made some pieces while imprisoned by the United States government at the Heart Mountain Relocation Center during WWII. 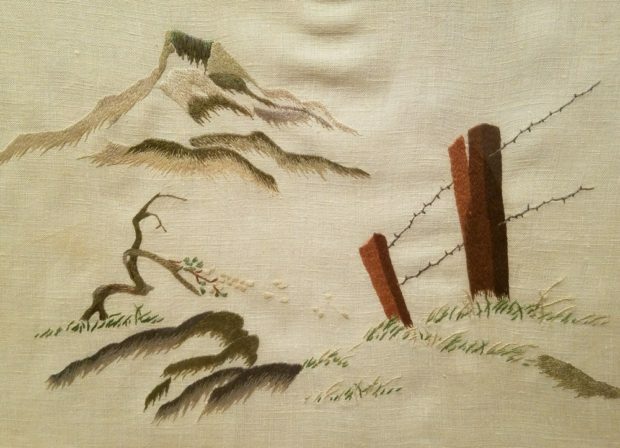 The piece I had in mind, isn’t the one pictured above, but a simple embroidery of a barbed wire fence on a stark white background. I spent many hours of my childhood looking at it; first at her house, then at my great-aunt’s house, and I have thought about it a lot over the years. It seems even more pertinent right now that I find it. This is the person who, with my mom taught me how to sew when I was 3 (their photo is on my about page). She died at age 100 about 14 years ago. I cannot understate the influence she had on me; even though we didn’t speak the same language. You can go read about the “internment” of the Japanese. Go read George Takei or Yoshiko Uchida or the veritable plethora of first person accounts. I wasn’t there. This happened to my grandparents generation. They rarely talked about it, but the art hanging on their walls told another story. I am haunted by this bit of American history. I’m reminded when people ask me where I’m from, and I say “here.” And then they say, “before that.” Or simply told to “go home.” I am home. Home in a country that constantly reminds me that I am an other. I am not. I am an American. Both of my parents and all my grandparents were born here. I can trace my ancestry on my dad’s side to our founding fathers. So when I see the internment of the Japanese to be used as “precedent” to marginalize another group of people, I want you to remember this: Race is a cultural construct. There is no biological basis for the separation of people by colour or nationality. And yet here it creeps in again. This isn’t a disagreement about policy or politics. My personhood is threatened, along with anyone who simply doesn’t agree. This leaves no room for discourse. Dehumanizing others always leads to violence; it is happening here. Right in front of you. Fascism. This is not who we are. This is no time to “wait and see” or “give him a chance.” Please call your congresspeople, make your voice be heard, volunteer in your community, donate to organizations who protect our rights, be nice to your neighbours and fight to keep the rights that the law and the constitution guarantees us. All of us.